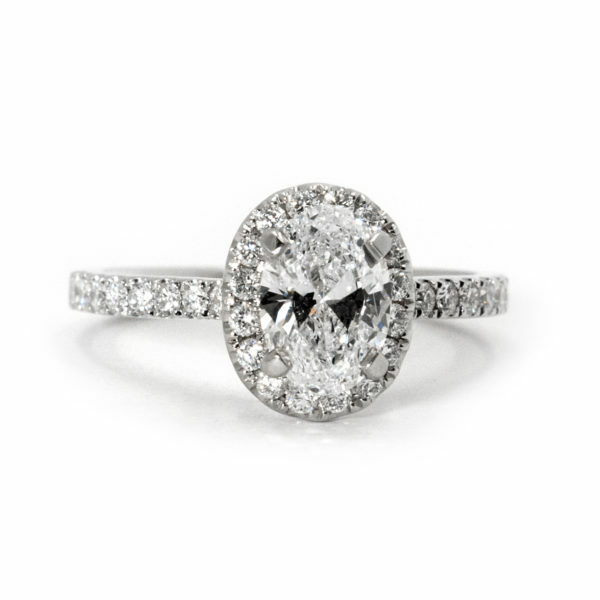 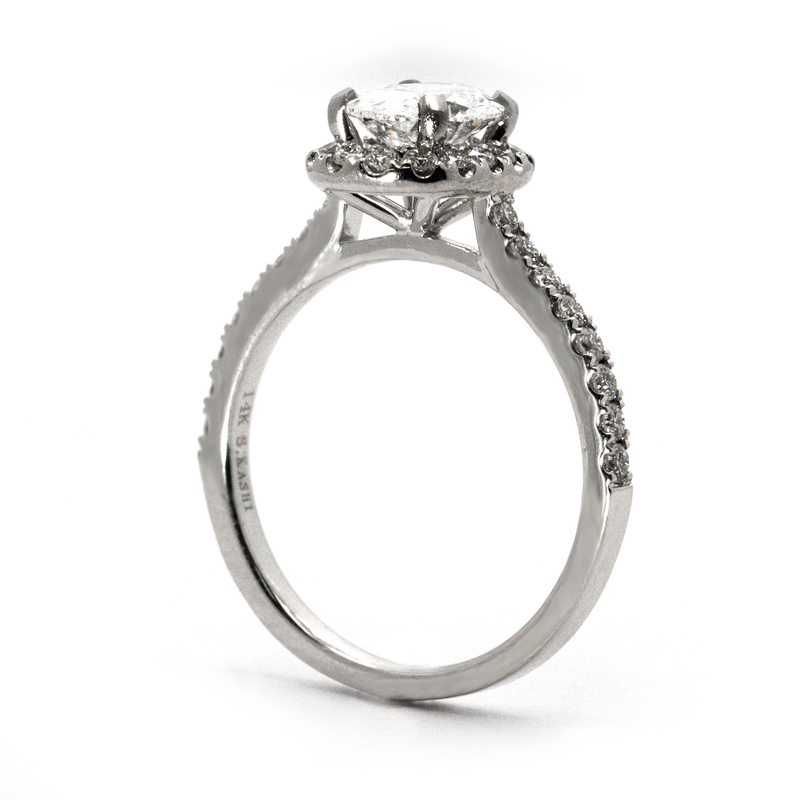 This halo engagement ring will be sure to turn some heads! 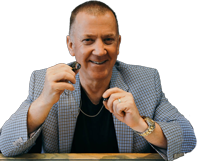 The 1 carat oval center alone can be seen from Mars. 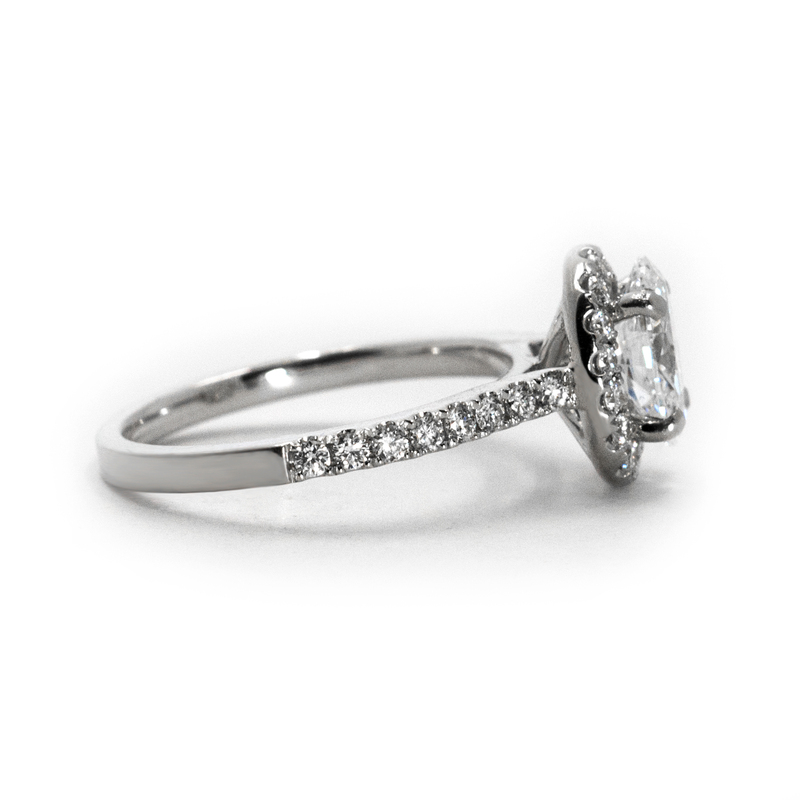 Pair that with a diamond band and a diamond halo, this ring will sparkle from any angle.